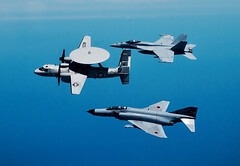 The second Benkyoukai training event between the Japan Air Self-Defense Force and Carrier Air Wing Five (CVW) 5 was conducted Aug. 1-4, led by the Dambusters of Strike Fighter Squadron (VFA) 195. 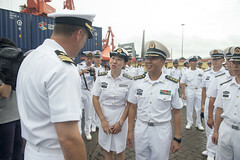 The guided-missile destroyer arrived in Qingdao, China, Aug. 8, for a port visit to advance maritime cooperation and build relationships with the People's Liberation Army (Navy) North Sea Fleet. 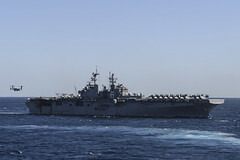 The Expeditionary Strike Group (ESG) 7 flagship departed Fleet Activities Sasebo, Japan, Aug. 6 for a scheduled patrol. 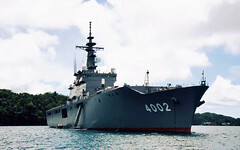 A multinational Pacific Partnership team arrived in Palau aboard the Japan Maritime Self-Defense Force's JS Shimokita (LST 4002), Aug. 4, as the mission continues simultaneously in Malaysia aboard USNS Mercy (T-AH 19). 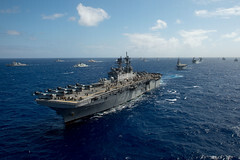 The dock landing ship conducted a transit through the South China Sea, Aug. 4. 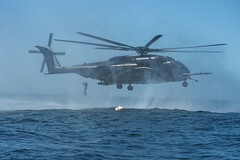 The world’s largest international maritime exercise concluded Aug. 4, after more than a month of training events conducted in and around the Hawaiian Islands and Southern California. 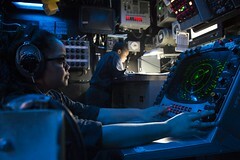 The U.S. Navy conducted multifaceted mine countermeasures training with six nations for over four weeks as part of the Southern California portion of exercise Rim of the Pacific (RIMPAC), June 30 through Aug. 4. 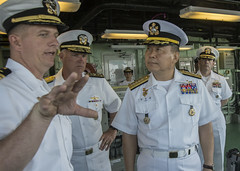 Adm. Jung Ho-Sub met with senior military leaders in San Diego Aug. 2 to discuss maritime security issues and strengthen the relationship between both navies. 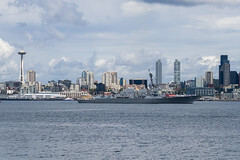 A parade of ships featuring USS Somerset (LPD 25) and USS Gridley (DDG 101) kicked off the 67th annual Seattle Seafair Fleet Week, which runs from Aug. 2-7. 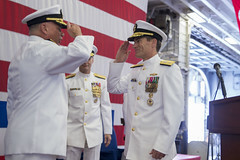 Rear Adm. Marc H. Dalton assumed command of Amphibious Force 7th Fleet from Rear Adm. John B. Nowell Jr. during a change of command ceremony aboard USS Bonhomme Richard (LHD 6) Aug. 3, in Sasebo, Japan.